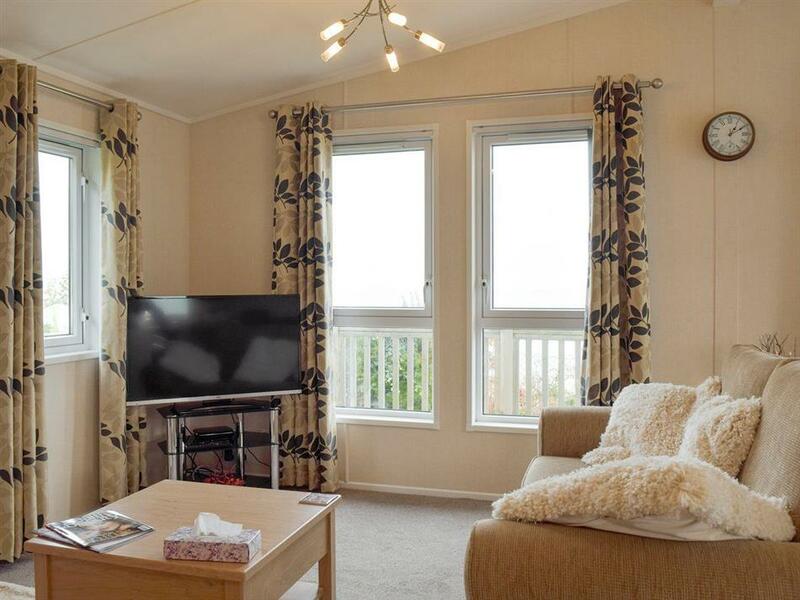 Azure View in Corton, near Lowestoft, Suffolk sleeps 4 people. 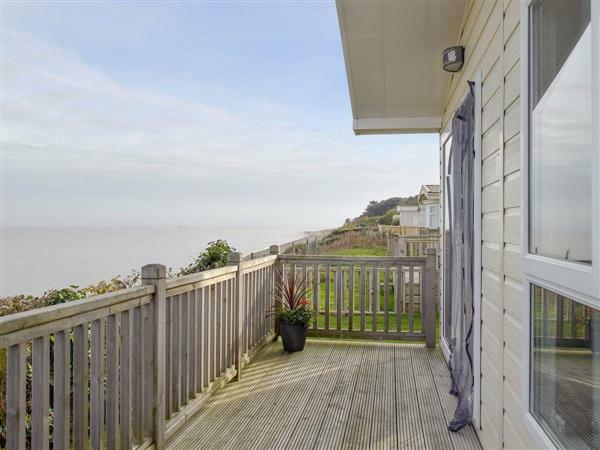 Azure View near Lowestoft is located in an enviable clifftop location on the Suffolk Heritage coast. Standing detached, it nestles in a traditional holiday park and has an east-facing veranda and large floor-to-ceiling windows looking directly out to the coast. Offering guests an incredible backdrop for their holiday break, Azure View is all on one level, with an open plan living space, main bathroom and master bedroom with an en-suite. Situated in the village of Corton, you are ideally placed for exploring the Suffolk Heritage Coast and the Norfolk Broads National Park. Close by is Pleasurewood Hills, Britain’s most easterly theme park, and nearby are Corton Beach and Lowestoft Beach with family entertainment, piers, restaurants and nightlife. Oulton Broad offers river trips, fishing and entertainment. Norwich is also a short drive away and a visit to the cathedral and castle are well worth a visit. The beach, shop, pub and restaurant are all 500 yards from Azure View near Lowestoft. Azure View near Lowestoft has 3 steps to the entrance. Living area: With electric fire, 42 Freesat Smart TV, DVD player, CD player and French doors leading to veranda. Dining area: With French doors leading to veranda. Bedroom 1: With king-size bed, Freesat TV and en-suite with shower over bath, toilet and heated towel rail. LPG central heating, gas, electricity, bed linen, towels and Wi-Fi included. Welcome pack. Veranda with garden furniture. Private parking for 2 cars. No smoking. Holidays at Azure View run from Friday to Friday. For a better idea of where Azure View is, you can see Azure View on the map below. Azure View is in Suffolk; should you be on the lookout for a special offer, you can find all the special offers in Suffolk. It's always worth checking to see what is on offer at the moment. Do you want to holiday near Azure View (UKC2664), you can see other cottages within 25 miles of Azure View; have a look to find your perfect holiday location.